Soccer is a very demanding sport with players sprinting, running long distances and handling hard physical contact whether or not they have the ball. Youth soccer can also be a very expensive sport with club dues, fees, and travel. Many youth soccer players have the goal of playing in university or professionally one day. 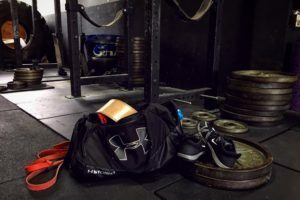 However, when time is missed on the field due to injury, it can affect the youth’s mindset, waste the money and time you and your athlete have put in, and can possibly result in the loss of a starting spot. That said, we all want to keep your athlete healthy, happy, and on the field. Lift weights two days per week for a half hour and focus on full body movements. Research has proven time and time again that this can make muscles, tendons, and bones stronger and more resilient. Recovery is more important than you think. Sleep, fatigue and stress levels, and nutrition are half the battle. Sleep: More activity requires more sleep, with 9-10 hours recommended for these athletes. Some may even need more. Managing fatigue: While you aren’t directly able to control this as a parent, encourage your kid to perform lower intensity workouts when they are fatigued, and higher intensity workouts when they are energized. Discourage the “110% effort every day” mentality to decrease the risk for burnout and injury. Food and nutrition: Managing this appropriately results in building stronger muscle, tendons, ligaments, and bones as well as a host of other mental and physical benefits. Managing stress: Being able to reduce and respond positively to stressors has a big impact on how youth are recovering and adapting to the stress of training. Hydration: Fluid status has a huge impact on how well bodies are running, recovering, and adapting. Perform the FIFA 11+ warm up at least twice a week. Since its introduction in 2009, the FIFA 11+ warm up as been shown in multiple research studies, to reduce the risk of injury across youth athletic populations, especially in reducing non-contact knee injuries. It’s a simple program but has to be adhered to for efficacy. Give your kids freedom to play in unstructured environments…think pick up games. Many of the sports superstars learned touch, skills, and creativity in the slums, shanty towns, barrios and favelas of the world. Unstructured play allows youth athletes to develop outside of being a part of a team without the pressure from coaches, teammates, and parents. For many, this is why they enjoy the game and want to play it. 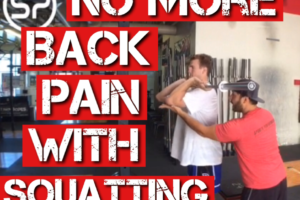 Take them off the field for one season a year to work on strength deficits. This sounds counterintuitive, but an off season allows kids bodies to recover from repetitive trauma, gives them a mental (and physical) break, and allows them time to participate in a full blown strength and conditioning program. 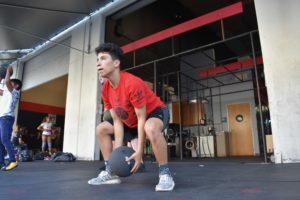 A well-designed strength program helps fill out an athlete’s athletic resume and makes their bodies more resilient against the stresses of the competitive season.